Over the years, I have lost hundreds of gigabytes of my personal data due to mishaps like accidentally deleting data, hard drive getting corrupted all of a sudden or getting infected with a virus. At times like these, you try checking your recycle bin or ask your friend if he has a backup of your files. When all fails, your last resort is to google for a solution. 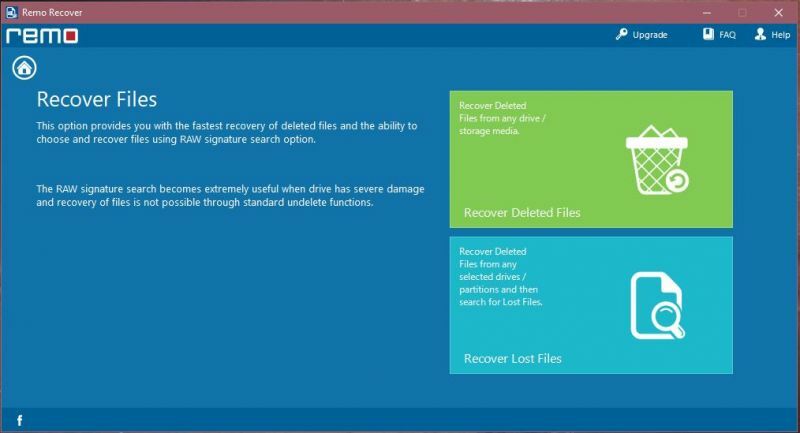 Well, Google has led you to the right article because this time, we are reviewing the Remo Recover (Windows) software from Remo which allows you to recover permanently deleted or lost data files from your windows computer or any other external storage devices. So What Exactly Is The Remo Recover Software? Remo data recovery Software is available on Windows as well as on Mac. The version that I will be reviewing is the Windows version. Though the process of recovering the files should be similar even if you are a Mac user. Moving on, the software helps you recover deleted files with ease. Not only it recovers permanently deleted files i.e; files deleted from recycle bin but it also helps in recovering data from formatted windows, partitions from RAID drives, re-formatted partitions or re-partitioned hard drives. Can my PC even run the software? ● RAM – 512 MB (1 GB recommended). 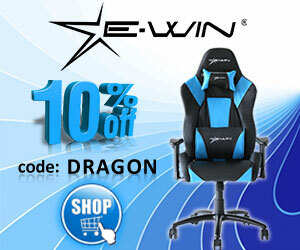 ● Minimum of 1024 x 786 screen resolution for better usability. ● A graphics adapter card with at least 64 MB of memory. 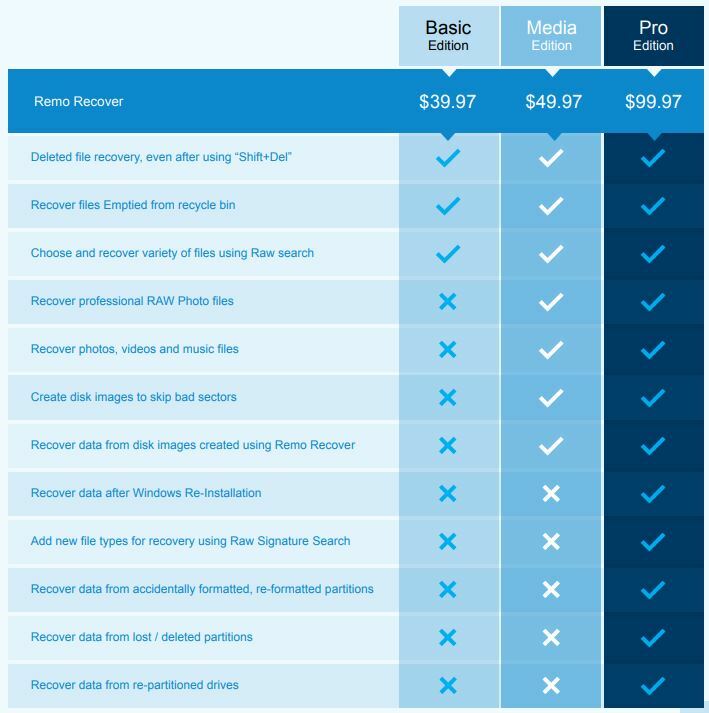 Which version of Remo Recover Software should I purchase? It is useful for Recovery of all type of files which are deleted or lost. It is priced at $40. formatted partitions, lost/missing partitions or when a partition is corrupt or deleted. It is priced at $100. Recovering files using the Remo Recover software is a child’s play. Once you have downloaded and installed the setup file, start up the application. The user interface is really simple and easy to understand. This is the main menu of the software. Here you can see three options. Recover Files, Recover Drives, and lastly Recover Photos (Photo/Video/Audio). The Recover Files option does a scan of your system and shows your deleted files. If you are just looking to use this option, then you are good to go with just the Basic Edition. The Recover Photos option allows you to scan only for multimedia files which is much faster than Recover Files because the computer only has to look for multimedia files. 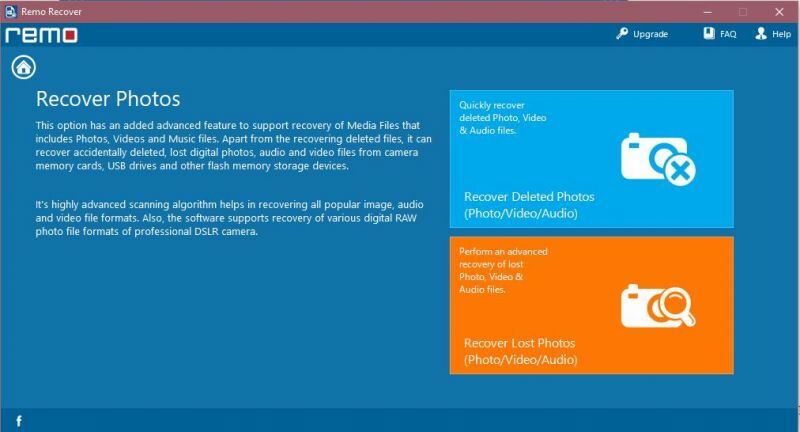 For the Recover Photos option, you will require the Media Edition. The final option is the Recover Drives. With this, you can recover data from an accidentally deleted or formatted partition. For this, you will require the Pro Edition. Let’s check each of the features in detail. Clicking on Recover Files open this window. Here you are given two options to choose from. Recover deleted files and recover lost files. The first option searches the drive for any deleted files and shows you the result. This option is much faster than the second option. The Recover Lost Files is a thorough search which first searches for deleted files and then does another scan for lost files. This option is kind of like a deep scan which can be found in other file recovery softwares. Clicking on Recover Deleted Files will give you this screen. Here you can select the drive from which you want to recover the deleted data from. For me, I lost my data from J: drive, so I will select that drive and click on the “right arrow” on the bottom right section of the screen. The software will scan for deleted files and show you this screen. On the bottom, you can see that the software has managed to recover 4.93GB data which included 415 files and 38 folders. To see only the deleted files, click on show deleted. 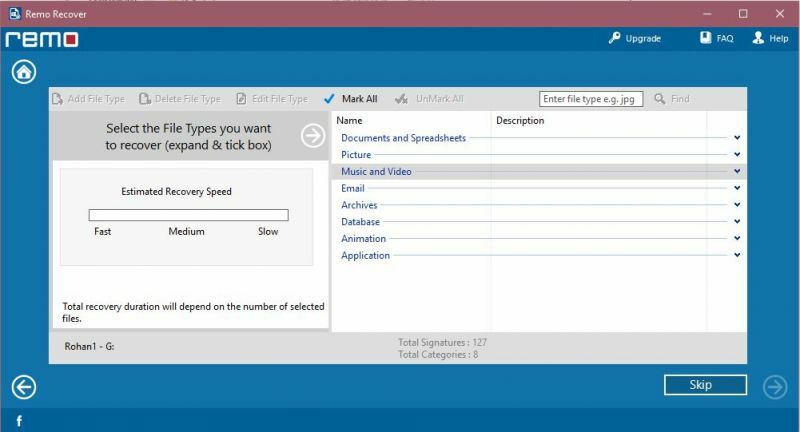 Tick the checkbox on the files that you want to recover. Once you have selected the files, click on the bottom right arrow button. 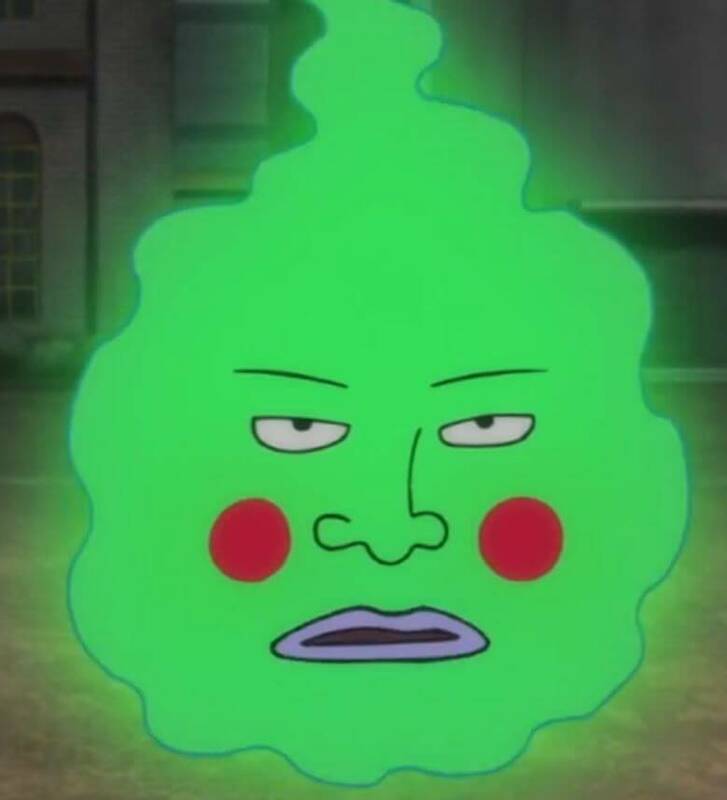 Here you will be asked where you want to save the file. 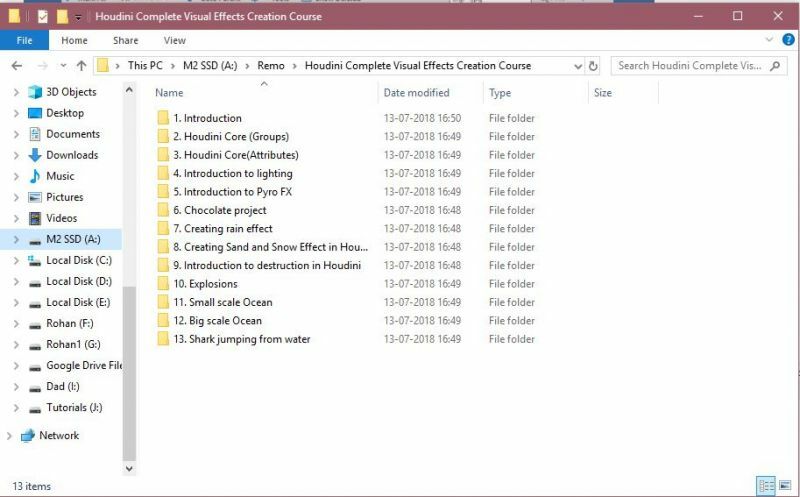 Click on the “…” to select the output folder. DO NOT save the files in the same drive that the files were deleted from. Save the files in a different drive to get a perfect recovery. For the files that already exist, you can choose to Rename, Overwrite or Skip them. Or you can just leave it to Prompt and the software will ask you what you want to do for that particular file. You can also choose to compress the recovered data in case you don’t have enough space in the recovery drive. Click on the bottom right arrow in the corner once you are done and the software will start recovering the data. 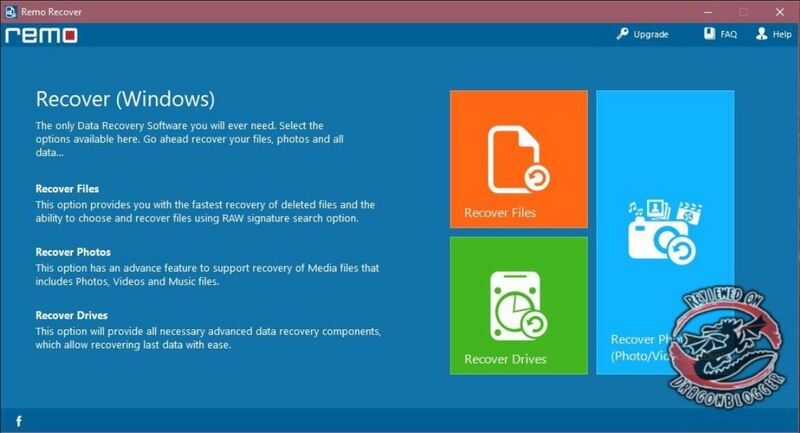 Once the recovery process is finished, you can find your recovered files in your selected drive and folder. So this is how simple it is to recover files using the Remo Recover software. Recovering Lost files is more or less the same thing. But here, you are given more options. 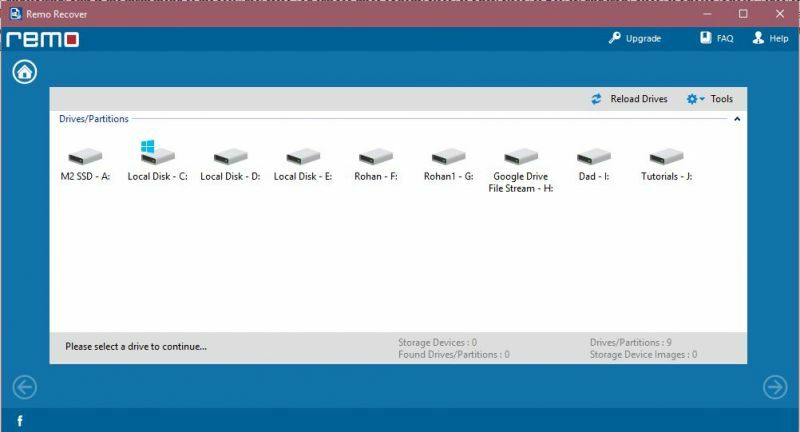 You can either search full storage devices or you can select drives/partitions. Once you have selected the partition or the storage device, click on next. 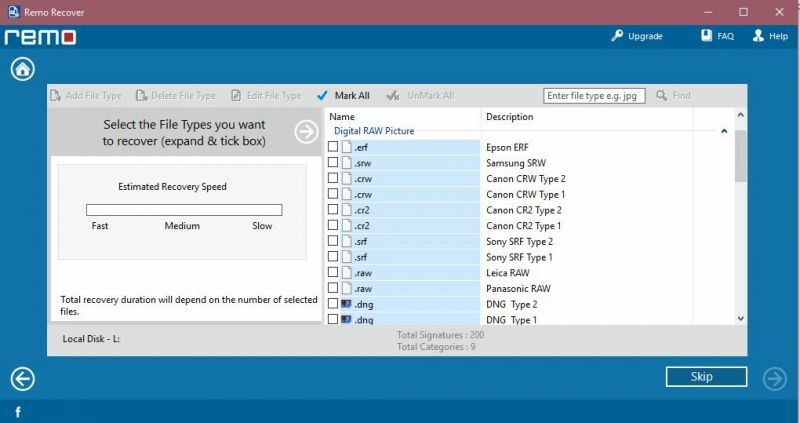 Here you can choose which file formats do you want the software to scan for. Selecting the specific file formats will result in a much faster search result. 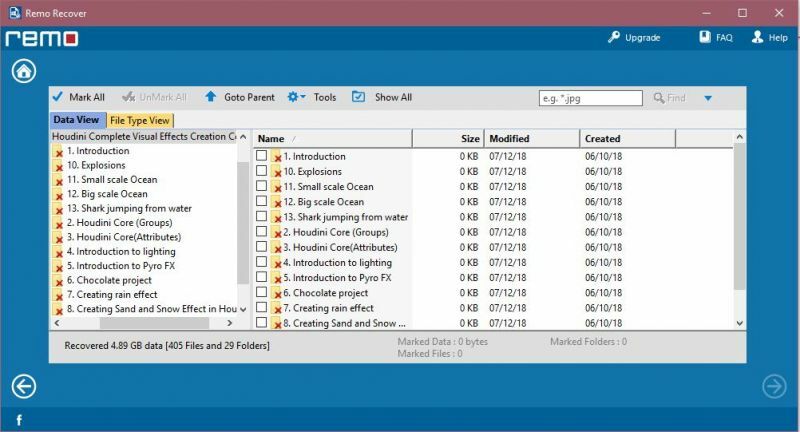 You can either select the file formats or you can totally skip it and the software will search for all the files which will result in a longer search time. Once that is done, clicking on the right arrow button on the bottom right will start the scan. The steps of recovering the files are exactly the same as shown above. With this, you can recover photos & videos from memory card, flash card or SD card. You will require the Media Edition for this. Just like in Recover files, you are given two options here. Either you can recover deleted files or you can select recover lost photos. The first one will just scan for deleted files while the second one will search for deleted files and then search for lost files. After selecting the flash drive or the memory card, you can select the specific file types over here. In the media and pro editions, you get way more file formats to choose from. 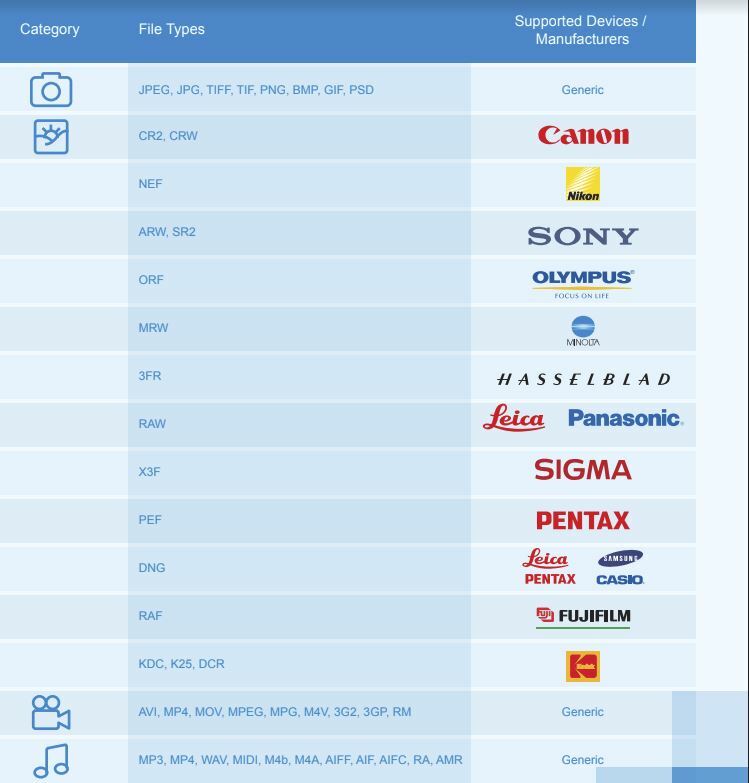 Here is a list of supported file types in the media edition. The software was able to recover 2.43GB of images from my memory card. Recovering data is yet again the same way as before. Simply select the files that you want to recover and click on the bottom right button. Then select the save directory and you’re done. So the final option is the Recover Drives. You will need the Pro Edition of the Remo Recover software to use this function. There are two options to choose from here. Partition Recovery and Formatted/Reformatted Recovery. 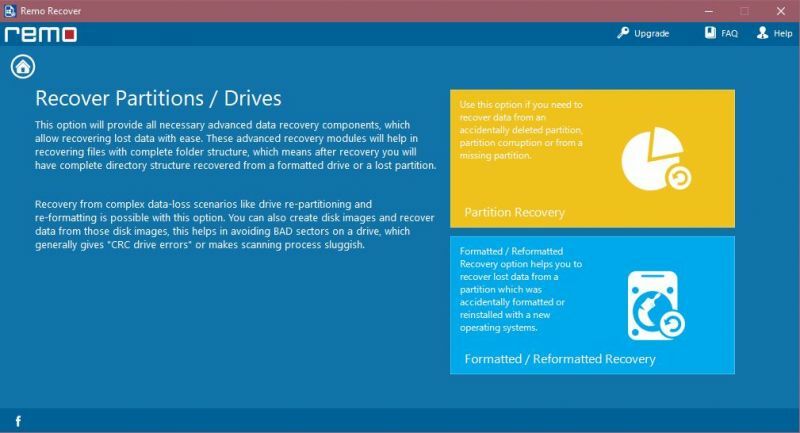 The first one allows you to recover data from an accidentally deleted partition, or a partition corruption, or from a completely missing partition. The second option helps you to recover data from a completely formatted drive, may it be accidental or due to reinstalling a new operating system. 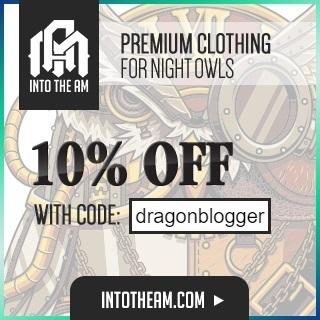 For this testing, I did not have any recently formatted drive so I was unable to test this. But this is a walkthrough on how you can recover data from a deleted partition or from a recently formatted drive. 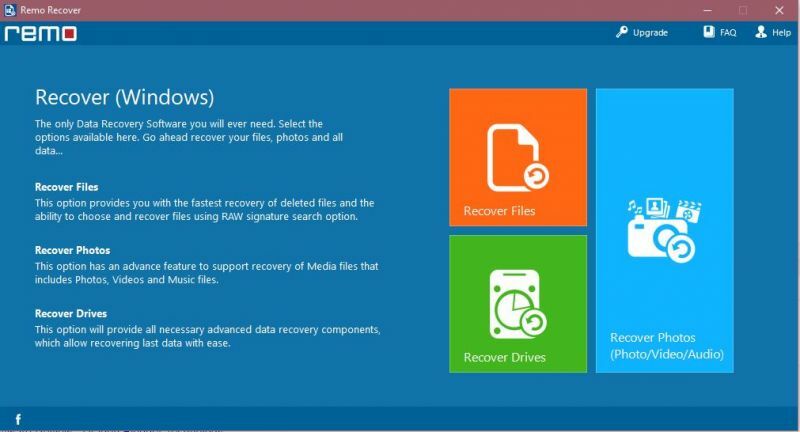 Select the option “Recover Drives” from the main screen. From next screen select “Formatted/ Reformatted Recovery” option. 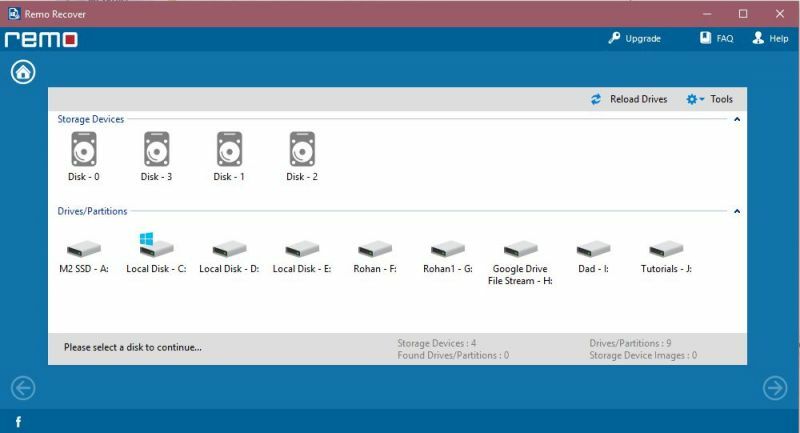 Now select the Partitions / Drives from where the data needs to be recovered and click on Next. 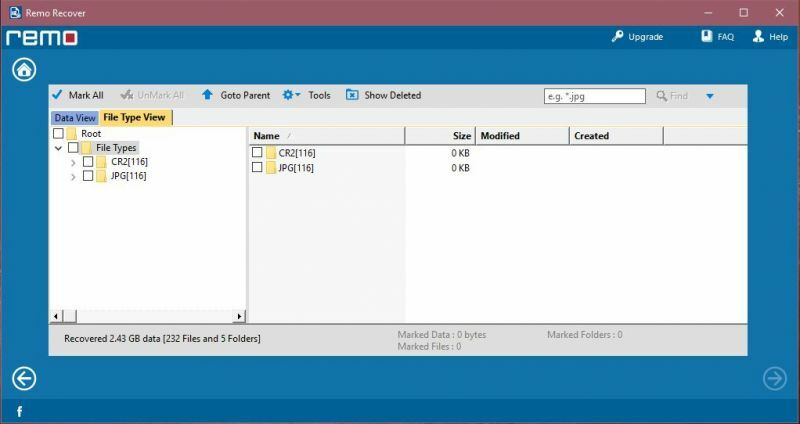 Now the software will starts scanning your selected partition and list the previous file system. After this select file system from where you want to recover data and click on Next. It shows all the files types. You can select the file types you want to restore. 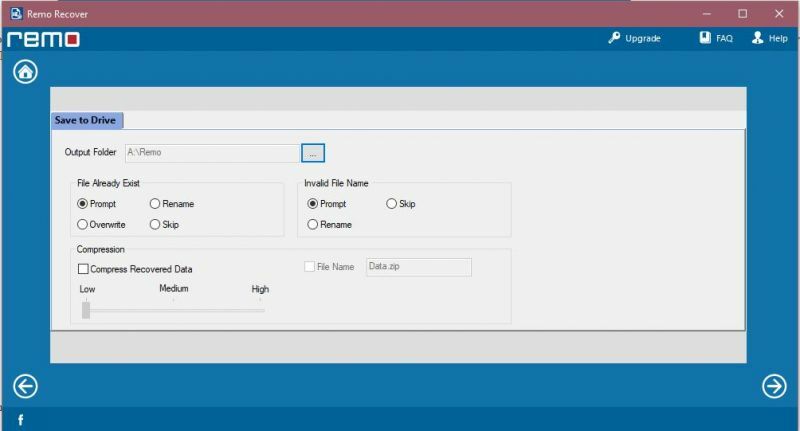 In case, the specific file type is not found then you can add it just by clicking on Add File Type option on the left top corner of the screen. Skip this option if you want to recover the entire data. 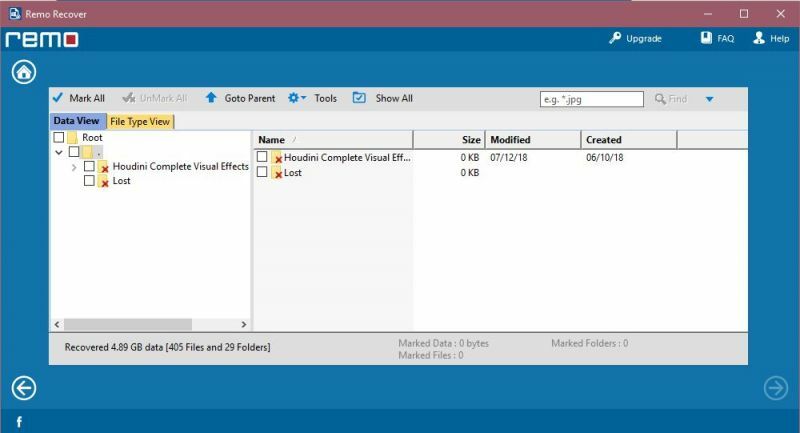 Preview recovered files using “File Type View” option or “Data View” option, to verify recovered results. Purchase the Pro Edition if you the software was able to find the deleted files and then recover them. During my testing, the Remo Recover did a fantastic job of recovering all my deleted files. The scan time was very fast and I was able to recover all of my data. For $40, you can get the basic edition which you can use to recover almost all of your file. 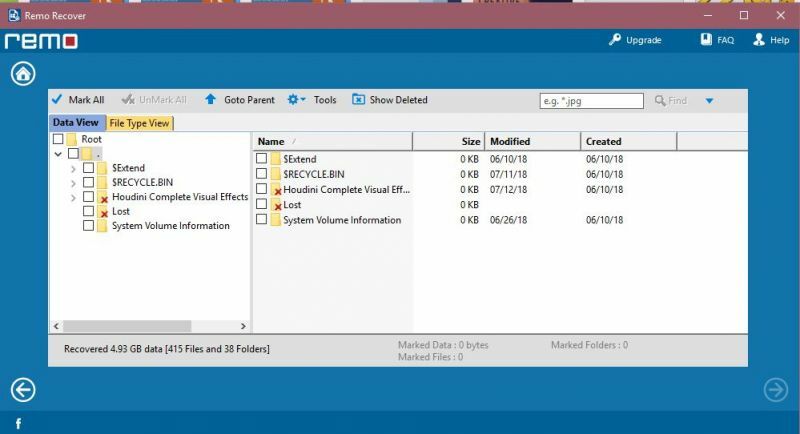 Unless the deleted files were recorded from a camera, then you will require the Media edition which costs $10 more that is $50 and has all the features of the basic edition with the addition of extra file format support. For $100, you can get the Pro Edition which includes Partition Recovery and Formatted Drive Recovery. This will be very useful for those who accidentally deleted their partitions or have missing partitions. The pro edition will also come in handy for those who have formatted their drive by mistake or due to windows reinstallation. If you ask me, unless you have a deleted partition or a formatted drive, then your best option would be to get the Media Edition.